This is the first Christmas that we will be spending in the Bay area. No travels to the snowy mountains of Utah this year. The children are grown and involved. Things have changed. Finances are tighter. We are happier. I have enjoyed the Christmas season in San Francisco, with the occasional rain shower but mostly sunny but cool winter days. I feel winter without the hazards of slushy snow and icy roads. The city is magical especially at night when adorned with holiday lights sparkling dressing it up like something more glorious than Emerald City. My heart has been so full and so grateful. I am in a job that I truly enjoy. I am loved by my partner, children and family and friends. Sure, these have been hard financial times and the struggle for LGBT rights has been difficult. Sure, we are a world still fettered by violence, poverty and environmental problems. The marvelous thing this season reaffirms to me, is that I have not given up. Armed with the strength of loved ones, I see a future of challenges that I am willing to face. The ideals that embody the messages of the season like the brotherhood of man and peace on earth is worth working towards no matter what obstacles lay ahead. 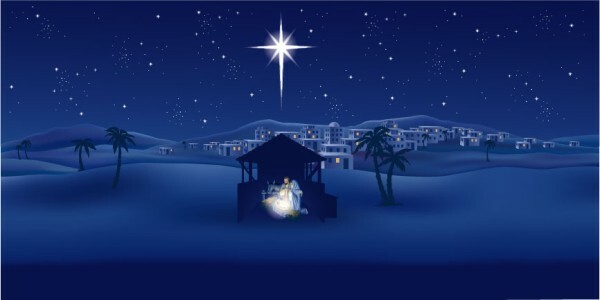 No matter one’s religious belief or lack of religious belief, the story of the child born in a stable in a small village in a remote area of the Middle East has affected an entire world for centuries. Despite seemingly insurmountable obstacles, that story has inspired billions. Our stories are still being written-so on this day before Christmas as we look back at that stable to that child, let us look forward to a future where we can truly bring goodwill to all men.